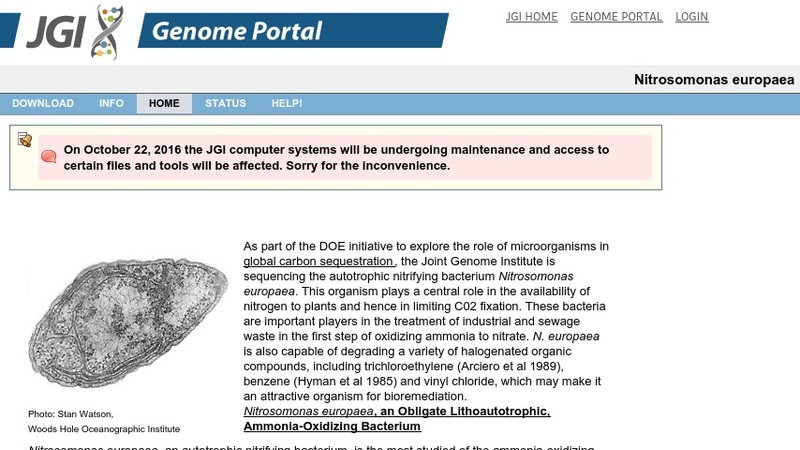 As part of the DOE initiative to explore the role of microorganisms in global carbon sequestration, the Joint Genome Institute is sequencing the autotrophic nitrifying bacterium Nitrosomonas europaea. This organism plays a central role in the availability of nitrogen to plants and hence in limiting C02 fixation. These bacteria are important players in the treatment of industrial and sewage waste in the first step of oxidizing ammonia to nitrate.